Would you like to soak up the sun in a deck chair beside the pool? Our 500 sq metre aquatic park is sure to satisfy you. Young and old will spend hours of relaxation and fun in the aquatic park with its 4 pools, including a covered pool. Your children will love playing on the 3 slides while you can enjoy a relaxing moment of well-being in our spa area in the covered pool. Let yourself be tempted by the massage path and whirlpool and experience the benefit of water on your body. Finally, your youngest children can enjoy water fun for the first time in our paddling pool under your supervision. The Bonne Anse Bay is a true paradise for water sports lovers and swimmers. 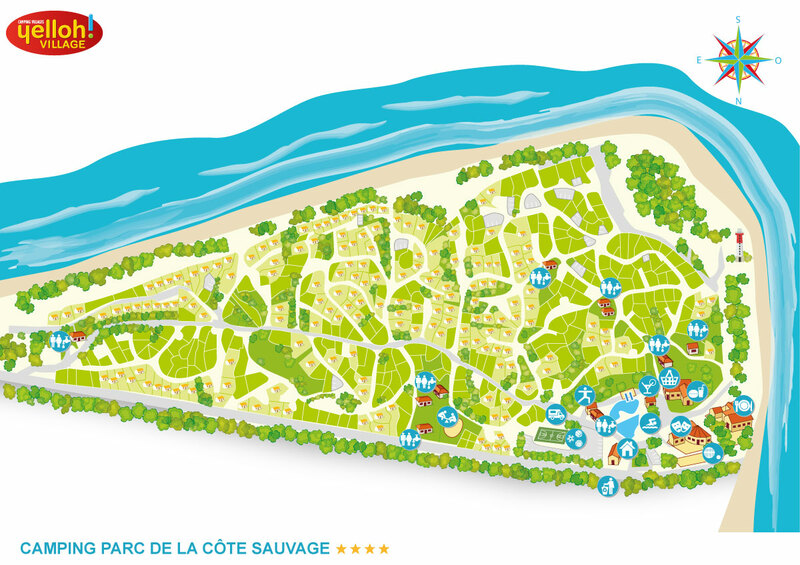 The Parc de la Côte Sauvage camping has a choice location since it provides direct access to the long La Coubre lighthouse beach. It extends into the Atlantic ocean and provides an excellent spot for surfers. Swimmers also have specifically marked areas with lifeguards. La Palmyre beach is located in the centre of the Bonne Anse Bay, which protects it from strong ocean currents.